David Cook's American Idol finale absence wasn't a snub at the show that launched his career, according to his representative. Lee Dewyze was crowned American Idol's ninth-season winner during Wednesday night's live finale broadcast on Fox. American Idol eliminated Lacey Brown and revealed last year's "The Judges' Save" twist will return for this season's finals during Wednesday night's live results show broadcast on Fox. Scott MacIntyre is ready to launch his post-American Idol career. With 2009 drawing to a close, it's time to take a look back at the year that was. The following is Reality TV World's 2009 Reality TV Year In Review, a 12-part, month-by-month review of some of the past year's reality TV headlines, highlights, lowlights, and milestones. Fox has announced it will pay tribute to Michael Jackson -- who passed away on Thursday at the age of 50 -- by airing an encore broadcast of this year's American Idol eighth-season performance episode that featured songs from the "King of Pop." Even Kris Allen seemed surprised to win American Idol. American Idol enthusiasts crying conspiracy over eighth-season finalist Adam Lambert being among last week's bottom three vote-getters apparently have nothing to worry about, according to former executive producer Nigel Lythgoe. 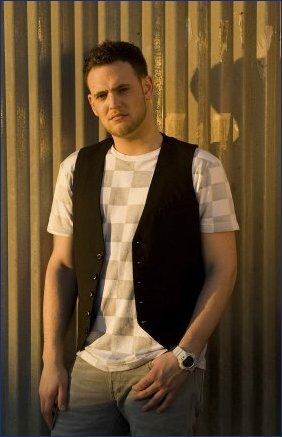 Matt Giraud claims his goal was never to win American Idol. Matt Giraud was revealed to be the ninth finalist eliminated from American Idol's eighth season during last night's live results show broadcast on Fox.